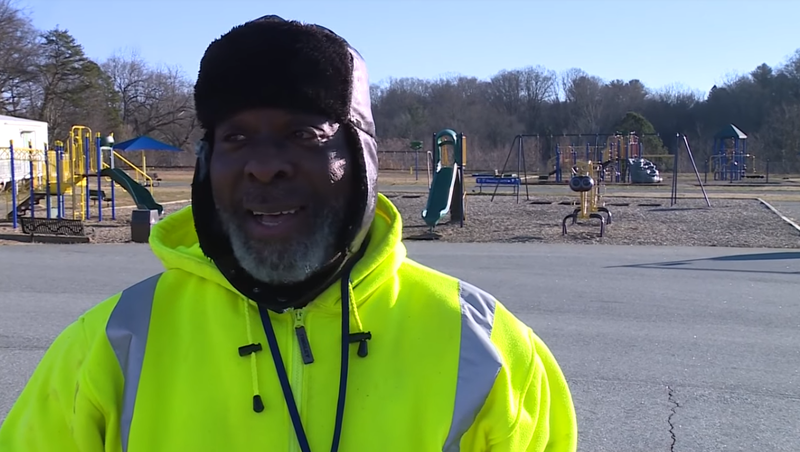 Being a crossing guard can often be a thankless job — but after experiencing a string of bad luck, Wallace Peoples was recently given one of the most heartfelt gifts of all. Peoples has worked for Sherwood Forest Elementary in Winston-Salem, North Carolina for two years, and in that short time, he has become a “superhero” to the students, parents, and staffers. Last month, Peoples was unable to come into work because his car broke down. On top of that, the school community discovered that Peoples had spent Christmas Eve in the hospital. Having noticed his absence and heard about his misfortune, school parent Sloane Johnson took to Facebook to find him some help. The response was immediate. “Within a span of two hours, we had $800 raised and a car donated by another parent,” Johnson remarked. That very same week, Peoples was taken by surprise when a group of parents and students greeted him with signs, cheers, applause, and a donated SUV. As if this wasn’t enough, they included a check for $2,500. As he starts his new car with a smile, it’s clear that Peoples will be arriving on time for a job he loves in order to ensure the safety of those who love him too.